Sacred Datura (Datura wrightii), widely known as Jimson Weed, is blooming and will continue into late summer. This perennial plant occurs from central California to Texas and Mexico and into northern South America. The pretty, lily-like white flowers can reach up to six inches long and three inches wide. The dark green leaves are sticky and can give off an unpleasant odor when crushed. The whole plant can reach five feet tall and several feet wide. Datura has a large tuberous root which allows the plant to survive cold winters that may kill the above-ground foliage. James W. Cornett, in his book “Indian Uses of Desert Plants” also warns of the toxicity and notes many other uses for this plant. 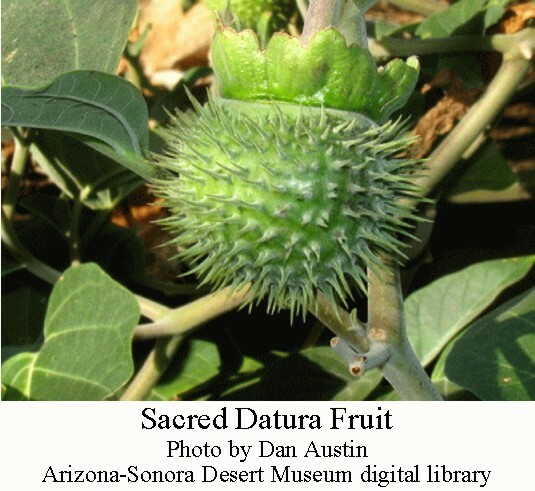 Patches of Sacred Datura grow in several exhibits at the Arizona-Sonora Desert Museum. The animals in these exhibits leave it alone and so should you. 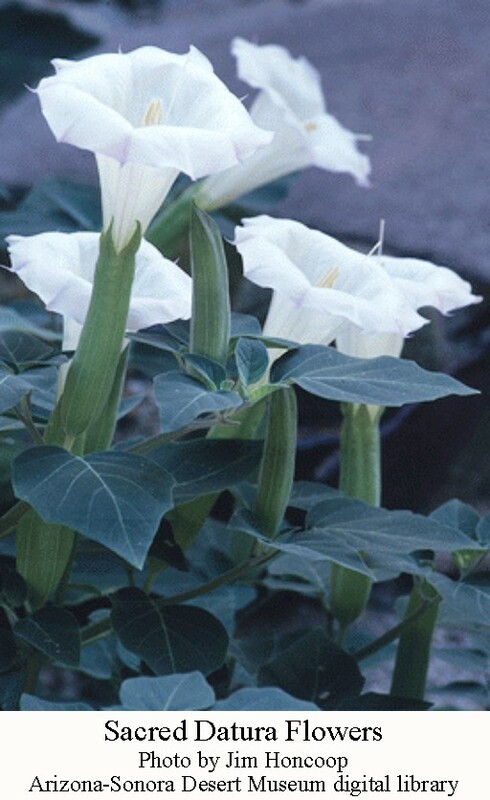 Posted in Natural History and tagged desert plants, edible desert plants, hallucinogenic, Jimson weed, sacred datura on May 5, 2015 by wryheat2.